With the prospect of reusable rockets in the future, a story about a 50 year old system may seem anachronistic, but for people who lived through the triumphs and disasters of the Apollo programme, the mighty Saturn V rocket (pronounced “Saturn five”) holds a special place in history. In 1969 I did a Greyhound bus trip around the USA and by a quirk of fate happened to be at the right place at the right time. On the 20th July 1969 at the Grand Canyon I was privileged to see a grainy, almost ghostlike video of the first lunar landing. It was only many years later on a visit to the Smithsonian National Air and Space Museum in Washington DC that I realised why NASA pipped Russia to the Moon. 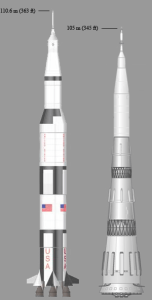 Statistics between the Saturn V and N1 rockets tell only a small part of the story but in this case size did matter. 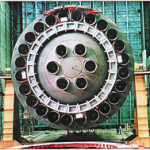 The Saturn V burned 21 tons of fuel a second – incomprehensible to mere mortals. It remains the largest and most powerful man made vehicle ever built. By comparison the Saturn V with only five engines (where the name derived from) had a relatively simple system. It still had six million different parts, yet never resulted in a fatality. The Apollo 1 astronauts were tragically killed, but that was due to a failure in the command capsule oxygen system. 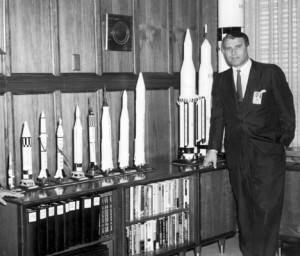 Much of the success of the Saturn V rocket was due to Dr. Wernher von Braun who was the technical director at the rocket research station at Peenemunde, in north-eastern Germany during World War II and later became a citizen of the United States of America in 1955.